If you are building your own business, understanding who you are and how you serve is critical to your success. But remember, it’s not just about growing a business, it’s about building and scaling a brand. You have to have a solid brand and message in order to truly attract and resonate with your audience and ultimately make the cash register ring. Whether you are a local business or have an international focus, you have to dial in your brand to meet your particular audience and niche. 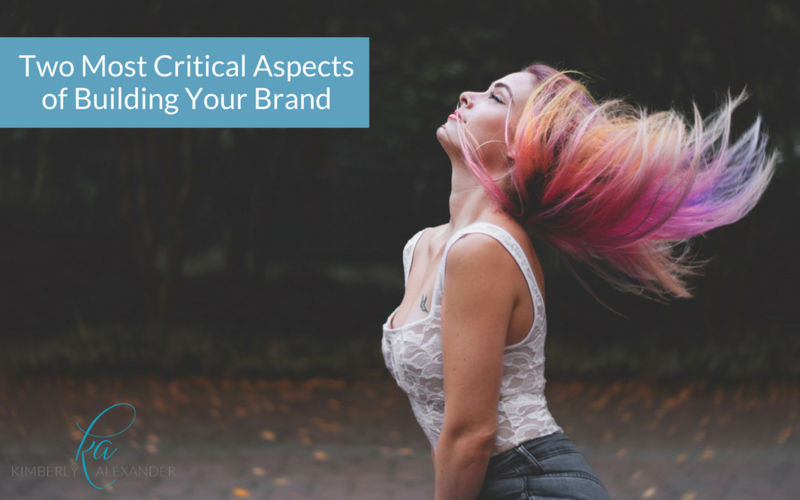 The following are the two most critical aspects of building a brand that will attract your tribe and build your business beyond what you ever thought possible. First, a caveat – you cannot begin this process without first understanding and identifying your purpose and who your niche is. 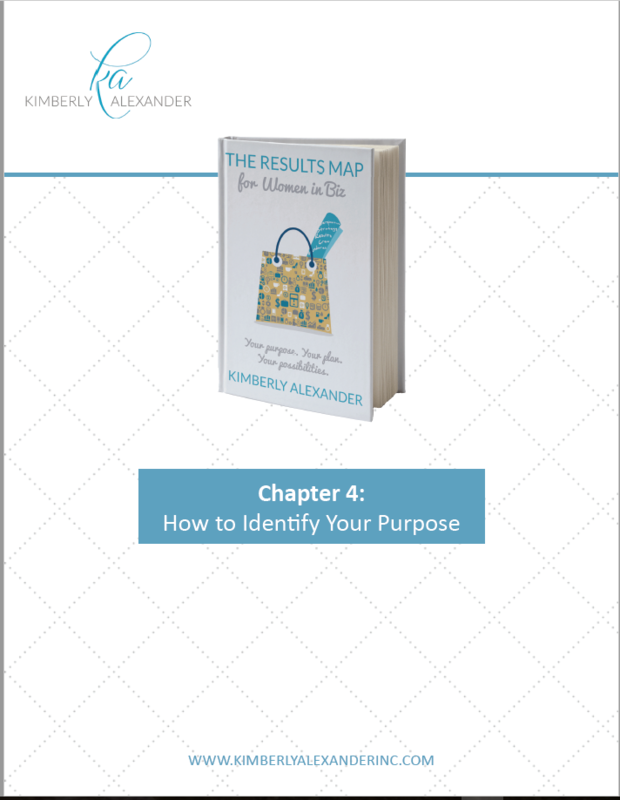 Use my worksheet on How to Identify Your Purpose from The Results Map for Women in Biz to help you work through this process. Once you have these pieces in place, it’s time to start thinking about your foundational messaging. Ask yourself the following questions: What pain points do I cure? What solutions do I offer? What are the main things that I do? Why would people work with me? What do I represent? What do my clients get out of working with me? Actually write down the answers to each of the above questions. Then, look at your answers and try to boil it down to 5-6 words. Yes, it IS going to be very difficult, but this process is so crucial to developing a rock-solid brand that will attract the right people to you, for all the right reasons. If it’s easier, think of it this way: What legacy do you want to leave with your brand? What do you want to be known for? Here is an example of what your foundational message should look like: My tagline is: Your Purpose. Your Plan. Your Possibilities. That is what I do. I help entrepreneurs grow businesses. Now it’s your turn, what do you do? If someone worked with you, what would they get from working with you – whatever that is, it needs to be the tagline of your brand. That’s what your foundational message will be. For more help building out your foundational message, watch this video and learn how to create a tagline. The second more critical aspect of building your brand is your foundational platform. This will be what you and your brand are known for. It could be a program or a message, or any number of things, but either way it will be the main platform of your company. Again, using myself as an example, my foundational platform is The Results Map. I have several programs that have evolved beyond The Results Map but it all starts there. I fold it into just about everything I do. Even with programs that go well beyond what’s taught in The Results Map, that is my starting point, my foundational platform. So think of all the cool different things you do in your business. What is the starting point and the main foundational platform that folds into everything else for you? Brainstorm 10-20 different things that you do in your business. Write them down. Then take a look and determine what is the common thread that your brand spirals out of. Now it’s time to get to work! When you’ve identified your purpose, your niche, your foundational message and foundational platform, you need to implement it. Make sure your message is clear in everything you do. Think about how your brand speaks to people. Do visitors to your website get what you’re all about just by looking at your home page? They should. This is how critical it is for you to take the time to get this right. The more clear you are about your brand the better you’ll be able to pass that clarity to your audience, and that is ultimately what will make the cash register ring. If you haven’t yet taken hold of what your true purpose is, this worksheet will help. Download it to help identify your purpose so you can build a business in which you can share your gifting with the world!